We are delighted to have received a seven-figure funding package from the Principality Building Society to support our latest housing projects and growth plans! 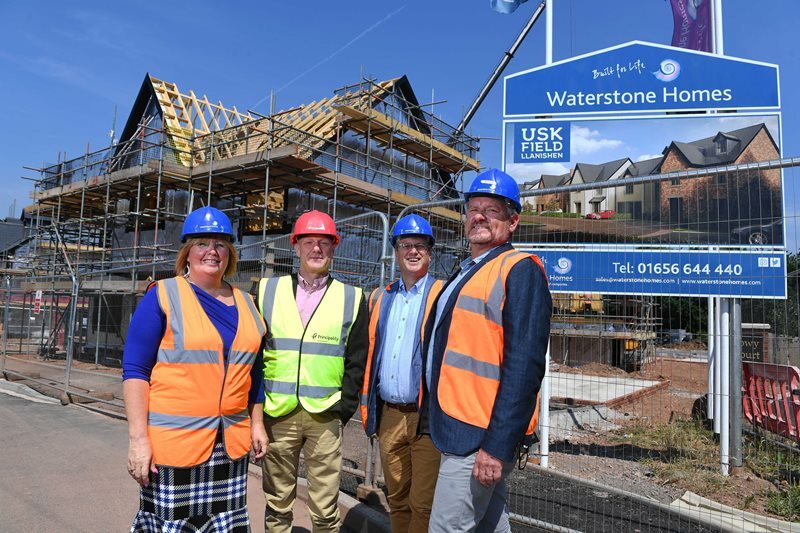 We have received £3.35m worth of funding from Principality Commercial to assist with the construction of our new Usk Field development in Llanishen, North Cardiff. Already taking reservations off plan, the new residential development will consist of 20 family homes, plus five affordable houses. Waterstone Homes were able to secure the loan following a number of previous, successful developments with Principality Commercial. Andrew Lycett, Waterstone Homes finance director, said: “Waterstone Homes has had an exceptional year of growth with turnover, profits and the number of homes built all having increased significantly. Gareth Redding, senior portfolio manager at Principality Commercial, added: “This is an exciting development for Principality working alongside Waterstone Homes. We are very excited to continue working closely with Principality Building Society.